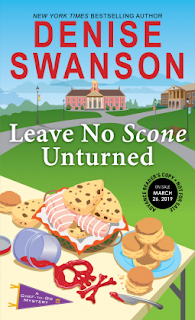 After reading the first “Chef-to-go” mystery, I was anxiously awaiting the release of the follow up book “Leave No Scone Unturned”. Lets just say I was not disappointed at all when reading the second book in this series. 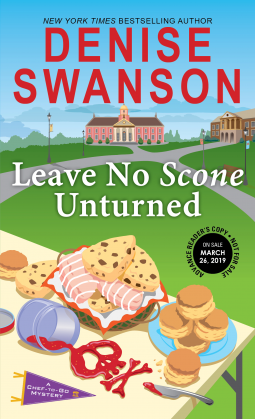 The small town feel of the book combined with the love and passion for cooking makes for a cozy, quick read. I especially love how Denise always manages to bring a little Scumble to the “Chef-to-Go” stories. The introduction of a new “interest” in the story was at times frustrating because from the very beginning I longed for Dani and Spencer to be together. I won’t give any details away but lets just say I’m eager to see what happens with these relationships in the next book. The mystery/murder that Dani stumbled into helping solve was so sad and heart wrenching at the end. I think mostly because my family is military. As fictional as I want to believe parts of this story were there are sadly some very non-fictional truths to it. I have to commend Denise Swanson for writing another story that grabbed my attention from the very beginning and left me wanting to instantly grab the next book. My only wish for this book is that it included recipes of the delicious sounding food Dani makes throughout the book. Farmhouse Benedict!? Wish I could come over for breakfast! Thank you Netgalley for the advance copy of this book in exchange for my honest review. After reading the brief description about this book, I knew I had to read it. It was a very cute and quick chick lit book that I just could not put down. I absolutely loved this book and instantly wished it were longer. This book is a cross between Miss Congeniality meets the Parent Trap. So if you enjoyed either of those movies you will love this book. I love the underlying message in this book about self-love and self-worth. In today’s word women are too critical on themselves and often they miss seeing their best features that can’t be seen with the eye. The only negative thing I have to say is I wish they gave a reasoning for Ginny’s allergic reaction. What would make someone’s face blow up like that! Thank you Netgalley for the copy in exchange for my honest review. 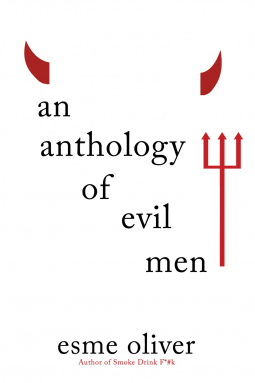 Reading Esme Oliver’s “An Anthology of Evil Men” will have you revaluating your own dating history and the experiences you have dealt with. The book covers men who are not only rude and unkind but those who are workplace sexual harassers. I had to remind myself a few times that these were true stories all experienced by the same women. My heart ached for Esme and cried with her. At times, the book resonated a little too close to home for me and I am sure it will for others as well. Esme did a wonderful job putting into words her past and I have to give her kudos for sharing her story. My only issue I had with this book is I wish each chapter had a time period listed at the beginning. I know that she explained when each story took place but seeing it at the beginning under the chapter name would have been helpful. Thank you Netgalley for the copy in exchange for my honest review. After seeing the cover of “A Lot of Fuss About a Duck” and reading the description I had high hopes that I would enjoy this book. The book is a quick, lighthearted read and it would be perfect for a rainy afternoon or by the poolside on vacation. The book, however, felt rushed to me and at times I felt like I was reading an outline. I did enjoy how the author jumped from one perspective to the next and appreciated how she left some details out for the readers to figure out for themselves. However, I feel the author skipped ahead too far sometimes making the time line hard to get. I feel the author also left so many details and explanations out that could have made this book even better than what it is. The characters are very relatable and I saw a part of me in each of their stories. I don’t understand how the title fits in with this book though- the duck is only mentioned once or twice. If you are looking for a quick, fun, chick-lit book this would be a good pick for you. But if you’re looking for a book that you will want to reread time after time- this would not be it. Thank you Netgalley for the copy in exchange for my honest review. 31 days – 31 dates truly sounds exhausting, confusing and exhilarating at the same time. “The Serial Dater’s Shopping List” was a great, lighthearted summer time read. Having done my fair share on online dating I thought I would truly enjoy this book and I was right. Some of Izzy’s dates reminded me of my own which had me laughing and all of her dates had me reconsidering doing online dating again. “The Girls at 17 Swann Street” is an emotionally, hauntingly gripping and eye-opening story into a disease that many do not know is a disease. 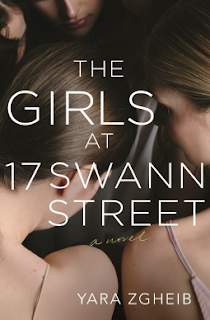 Working for counselors in the past I’ve known about anorexia but “The Girls at 17 Swann Street” gave an honest and deep look at this life deteriorating disease. People always think - ‘just eat a sandwich’ and they will be fixed, but there is so much more to it than that. My heart broke and ached for Anna as she fought the battle and demons inside of her over food. This was such a unique and honest story about a difficult topic. I think this would be a great book for therapists to give to families who have someone battling anorexia. It would definitely help the family to understand what their loved one is going through and what they are fighting. My only issue with this book was that Anna’s flashbacks were a little confusing. I still am not 100% sure who Phillippe was and what he had to do with the story. Also, be forewarned that the story is a little sad and depressing. It had me thinking and evaluating about my own eating habits. It’s a heavy read but it’s a beautiful read that I think anyone would appreciate. I received my copy from NetGalley in exchange for my honest review. Although the title is not the best and the cover art is a little lacking…the book is quite funny and entertaining. From the very beginning of the book you feel for Tiffanie and just want to run and save her. On the other hand, I also wanted to slap her so she wakes up and realizes the true jerk Gavin is. The book is a little predictable and you know there will be a happily ever after. However, what happens before that happily ever after you do not see coming. 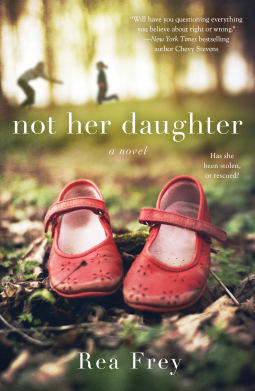 Throughout this book, I felt sorry for Tiffanie, rooted and cheered for her, got made at her, but by the end I was proud of the person she became. Tiffanie quickly figured out who she is and that her past is the past. She was able to stand on her own two feet and did things for herself. This made me feel a little empowered that no matter who you are, or where you come from, if you dream it and want it bad enough you can achieve it. Being that I am not British, at times I had trouble understanding some of the slang words. However, thanks to Google I quickly understood what the words meant and understood the story. 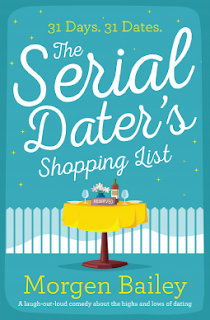 I was very impressed by the author, Pernille Hughes, and the fact that included actual snacks and places-like scampi fries and Greggs. Some authors would just make places or things up but Pernille held true to the area and what could be found there. 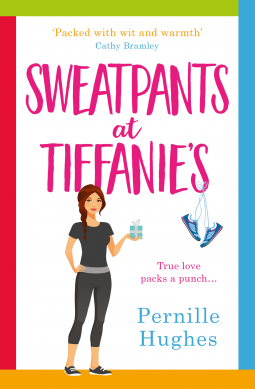 Sweatpants at Tiffanies was a great, quick read, and I would definitely recommend it to anyone who wants to feel empowered and optimistic. I received my copy from NetGalley in exchange for my honest review. Girls Night Out by Liz Fenton and Lisa Steinke was such a haunting, moving story about friendship, love, life, and what happens when you put those things to the test. At first getting into the story was a little difficult because you are questioning so many things and wondering what had happened to each of them before going on vacation. 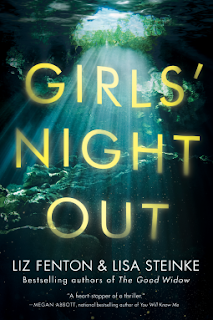 The storyline is a little choppy at times jumping from present to past to future between three different girls. But the further you read the more that is revealed and what you are left with is a moving story. A story that has you questioning what is truth and what is a lie. The book truly had me guessing up until the very end. 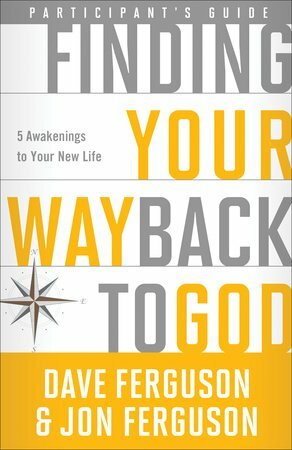 Every twist and turn that is revealed in this book makes your thoughts go a completely different direction. I enjoyed the book but the ending was a little sad and the authors took the story in a way I didn’t see coming. A way that was a little disturbing to me. While it was a great book to read, and a quick read at that, I think one should know that it is not a “happily-ever after” type of ending. The only complaint I have with this book is that they left you wondering about Marco. (Well at least me) I feel they should have had one more chapter sharing his side and thoughts on everything and maybe telling how he moved on afterwards. Besides that little complaint it was a great read. It was also packed with history about the Mayans which was very interesting. I received my copy from Netgalley in exchange for my honest review. This is the first book I have read by Georgia Hill and I have to say that I cannot wait to read the series before this-Millie Vanilla’s story. 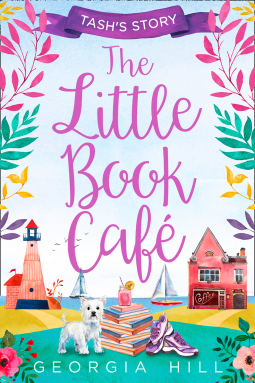 I also cannot wait to read the other books in “The Little Book Café” series. I do have to admit that what drew me to this book was the cute Westie on the cover. Reading Tash’s story was a hard one for me to read, emotionally. The book took me on a roller coaster ride of emotions. At first, I wasn’t sure I was going to like Tash and her story. She seemed a little haughty, and pretentious. Reading further in the book though, I hated Tash. I screamed at her and was mad she could not see what Adrian was doing to her. Then when I realized Tash had no idea, I had sympathy for her and wanted to beat the crap out of Adrian. Especially after poor Benji! That just made me want to snuggle with my Westie forever. Georgia Hill captivated me with her words and story. Although I had trouble with some of the British slang and terminology, I had to Google it. This is a great summer read and made me longing to be near the beach. I hope Georgia Hill writes more about Tash and her life after Adrian. I received my copy from Netgalley in exchange for my honest review. Reading the description of Trouble Brewing I knew it was going to be a great book. The fact it was about brewing made me even more excited to read it. My brother is a brewer and it is a very male dominated career, reading a book where a women was fighting the battle of this career was exciting to me. After reading a few pages I was instantly hooked and invested in Piper’s life. I rooted for her beers and hated BeerasuarusRex when he left his review. The story was a little predictable where you know the boy and girl will get together by the end and live happily ever after. But following their journey from friends into love was fun and made me miss being in a young relationship like that. I loved that the author goes between Piper and Blake, sharing each of their perspectives on their life and journey. The author also does a great job of going into just the right amount of detail but stopping before it gets to explicit. She shares just enough to get your mind going off into a lust-filled dream. 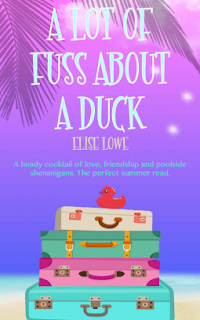 If you looking for a quick, fun, sweet and quirky, girl power book- this is one for you to read. I received my copy from Netgalley in exchange for my honest review. To say I loved this book is an understatement. I thought this was one of the most enjoyable books I have read recently. 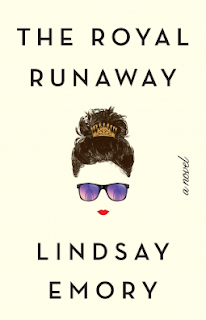 The Royal Runaway kept me entertained and intrigued the whole way through. 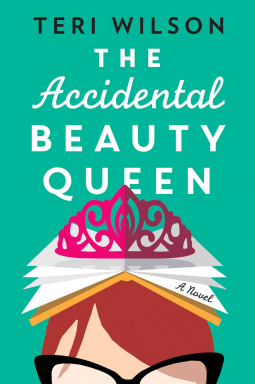 I decided to read this book because I loved the Princess Diaries but I must have missed the part in the description where it said this was a mystery spy novel. I could not stop reading this book, it captured me from start to finish. The Royal Runaway is not your typical royal book filled with fairytale and wonder. It is filled with romance, intrigue, humor, history (although on a fake town), and mystery. This is a great summer book that will swallow your time up and take you on an exciting adventure. The only problem I had with this book is at times it wasn’t as descriptive as I would have liked to have been. I felt like the author could have elaborated some sections for pages and pages but she stopped and left you wondering. If you want a quick, easy to digest, fast-paced, fun and intriguing read, the Royal Runaway is the book for you! I received my copy from Netgalley in exchange for my honest review. Even though I am not a parent, I do have many nieces and nephews that I always try to share my love of reading with by gifting them books. When I saw the cover of Edison I was blown away by the exquisite detail of the image. I thought that if a book looked this good the story had to be just as amazing; and I was right. 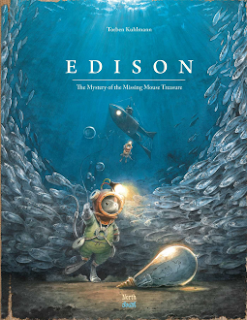 Edison’s story takes you on a journey and as you read it, you find yourself eager to discover what the hidden treasure is. Torben Kuhlman's artwork is truly breathtaking. His exquisite attention to detail makes the scenes feel real enough, but yet with his timelessly old-fashioned settings you are taken back in time. 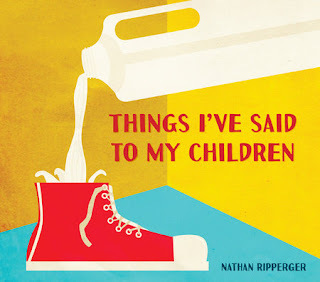 This book is not just a book to read to your children but is also a collection of art that is conversation-worthy. I especially loved how there is history tied with this story and at the end of the book you can read more about the history behind the creative mouse story. I think this book would be great for all ages- young or old- there is something for everyone to enjoy. This is a darkly beautiful book, imbued with echos of the past in its lush Southern setting. 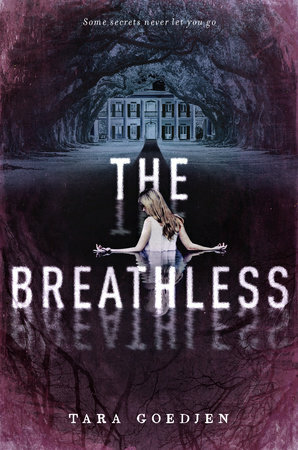 I have to admit that what initially drew me to the book was the stunning, mysterious cover. But after starting the book I realized that the cover was just an appetizer to what was inside the pages of the book. Mae Cole is still living in the shadow of her golden sister Ro, almost a year after Ro died. When Ro's former boyfriend knocks on the door of their historic home with no memory of the past year, his return sets off a haunting, magical mystery. I tore through this book, especially as I got toward the end, and I never saw the last few pages coming. Tara Goedjen writes gorgeously and weaves a suspenseful tale of secrets, obsession, and love. 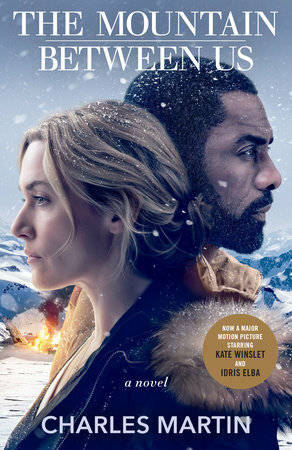 I must admit that what intrigued me to read The Mountain Between Us was the fact it was being released as a movie. The short bio I read about the book definitely intrigued me and I was curious if it was actually good enough to be made into a movie. This book was different from anything I’ve read before, but it was so worth the read. I found that I couldn’t put it down while reading and couldn’t wait to read what happened next. One chapter turned into two and before I knew it hours passed by and I was 3/4 of the way through the book! I literally could not put the book down. Charles Martin has a way of keeping his readers glued to the pages and waiting for the next twists and turns. There were so many things that Grover said in the beginning and Ben said throughout the book that really hit home and made me think about my own love life. I didn’t expect to be so captivated in a book the way I have with this one, but I think that just goes to show how remarkable of a book it is. I’m really looking forward to seeing how the movie will be adapted from this wonderful, addictive novel. I also will be reading more Charles Martin after this book. This is such an amazing book filled with questions I never thought to ask but always wondered about. This is the perfect book for any young or old adult. Being head of the Worship at my Church I purchased copies for all of our Graduates to take to College with them. I know when I was young and starting life I questioned so much. Had I had this book when I was that age I feel that I would have given my life over to Christ so much sooner. If you have a young one or someone who is questioning their faith I highly recommend this book to them! Coloring is said to relieve stress. And let's face it the older we get the more stress we have! Right? This coloring book is a 90s Kid dream coloring book! Have fun while reminiscing about your years growing up and singing in a hair brush while pretending to be Britney Spears. I know I'm not the only one that did this! This book is a great nostalgic concept that would be a great time waste on vacation or a road trip...or if you just need a few minutes to "escape" reality. 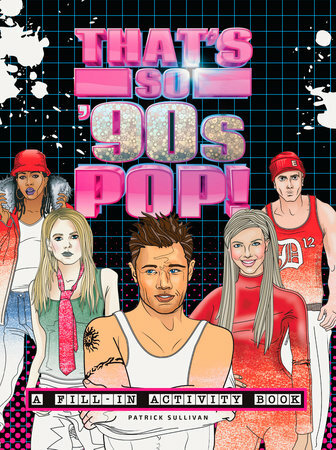 This would also make a great gift for any friend who grew up in the 90s. It's a fun book that is also an activity book so for those who want something a little more challenging than just coloring in the lines. Definitely a blast remembering some celebrities long gone and some still thriving in the industry. I wish I would have read that this was part of a series because after reading this book I want to go back and read the other two books as well- I wish I would have read them first actually. The books are stand alone but it's easier to know the story line and history if you read the previous two first. 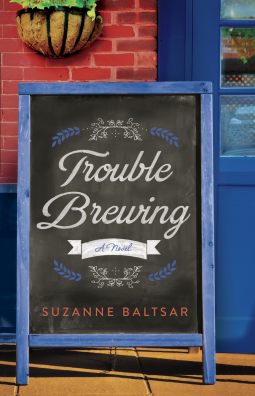 This book has it all- romance, mystery, rich family history, ancestry, humor and the story line was great and easy to read. It's beautiful, well written series! I loved how the stories didn't skip time but one led into the next. The story keeps building and you find many twists that lead to the ultimate ending. Can't wait to read more from this author. This book was so fun to read and it was a quick read as well. The book kept me engaged and eager to turn the page to read what they had to write about next. It had me laughing at times, sad at times as I remembered doing some of the things they suggest not to, and eager for my next trip now that I'm equipped with so much expert knowledge. The book also gives you a huge insight into the people hotel employees have to deal with daily! Gesh! Makes you reflect back on your stays at hotels over the years and wonder what type of guest you are. It's also a great reminder to treat the concierge nicer next time and to not ask them stupid questions that they shouldn't be asked. This book is a great, entertaining book that you'll want to share with family and friends. I also LOVE how each page is different on not just filled with text. The quizzes are fun and the graphics are entertaining. This was a quick and enjoyable read for me. It made me laugh, cry and reflect on my close relationship with my mother. 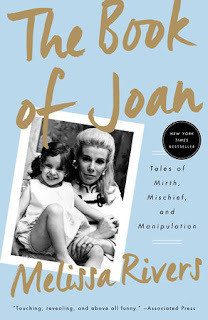 The stories made me think back to when I first saw Joan and would watch her thru out her life. Melissa did a great job on this book! I so enjoyed her mother for so many years. From her comedy to QVC, books and of course the RED CARPET! I adored her on the E! Red Carpet coverage. I am thankful to Melissa and David D to keep her style and creations going on QVC! If you enjoyed Joan at all over the years, grab this book, sit back and enjoy! 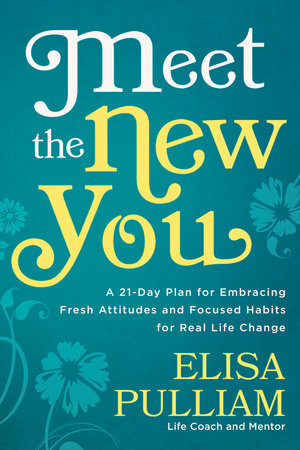 Get ready to meet the new you…because after reading this book you will be changed. I more than half-way through this book, and already it is having an impact on my life! I find myself thinking, acting and living differently since reading this book. What a treasure in today's world where Christian women need to constantly be equipped to become the women Christ has created us to be rather than to be crushed and formed by the world around us. 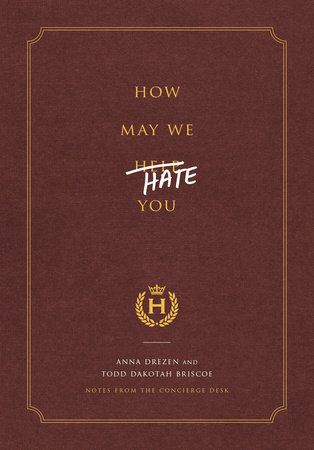 I think this book would be great for a women’s bible study. This book is so cute and perfect for fashionista's or people who know fashion designers. 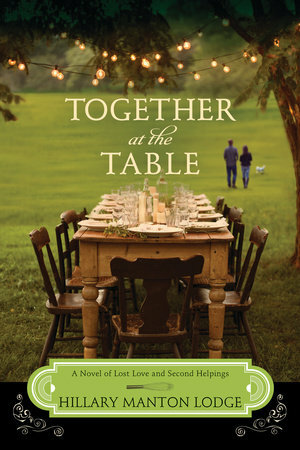 It's a great book to flip thru with your girlfriends and a bottle of wine. 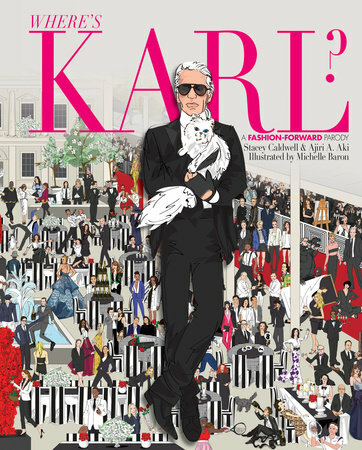 Not only will you spy Karl but there are many other designers and celebrities in the book. Definitely a fun and cute book and would make the perfect gift! When I got this book I was disappointed by how small it was, but then I started to read it and that disappointment vanished. This book is stupid but yet so ridiculously cute and funny that it's actually a great read. The way the book is written is so point on with today's society. I found myself laughing and thinking about some people I've come across. I actually want to get the rest of the books to read and have on my shelf. It's a quick read but I think my teenager niece will love the books as well. Definitely a funny author! Would read this book again and again. The participants guide was very interesting, however, I found myself wanting to read more and missed actually having the full book. I think that if you want to get this you should definitely purchase the actual book with it. When you mention coffee table book what comes to your mind first? 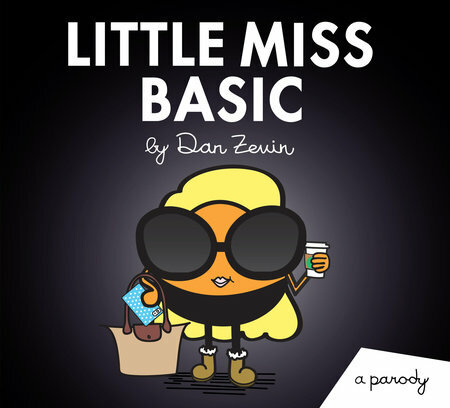 If it's cute, fun, humorous than this book is for you. 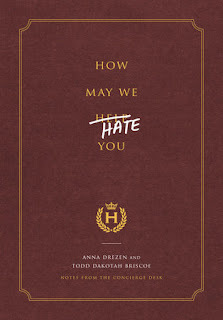 I wasn't sure what to expect from this book but knew from the title it would be humorous. Each page is filled with a bright image to go along with the quote the author wrote. Some of the things he's said to his children actually had me laughing, but others were just okay and made you wonder if he really said that. If you a book that will be a hit at a gathering or dinner party than this book won't let you down. If you're looking for a book that you'll want to read more than once...than I'm afraid this is not the book for you. Or at least not for me. I absolutely love this book! The recipes are fun, easy, and delicious...which I'm sure after a few of the boozy recipes you might be fun and easy as well. The food recipes though- so clever! Who would have thought to put ice cream in your Jell-o! GENIUS! A few of the recipes I've done before but thanks to this book I can now throw away all the stacks of paper because they are all in once place! A holiday twist on the 5 Minute Pretzel Bites - instead of making a sandwich with them after you remove them from the oven- take a colored candy (like M&M) and smush it down on top of the Kiss. I've done green and red for Christmas, and pink and red for Valentine's day. Just a nice, quick, and easy holiday gift for people. This book would make a great gift for anyone! Throw it in a bag with some of the ingredients and it would be perfect! One note which made me love this book even more- it's a sturdy board book with full brightly colored pages where each page has a deliciously photograph of the various outcomes of the recipe. If you are thinking of buying one book- get this one and thank me later! I loved this book. There was so much going on that the story just flew by. There was drama, suspense, mystery, romance, it had so much too it. This book kept me guessing most of the way through and was definitely a quick read for me. I just couldn't put it down. I will admit that the first few pages of the book were confusing and it took me a chapter or two to get fully hooked. I was sad that I finished it since it was the third book in a trilogy and would love to go back and read the first two now. I definitely recommend this book. I wasn't sure if I would like this book since most religious books just give you the facts and nearly try to shove it down your through. Dinner with a Perfect Stranger was not like this. It was not filled with fluff or was over bearing. It made me think and ask questions I never even thought about. 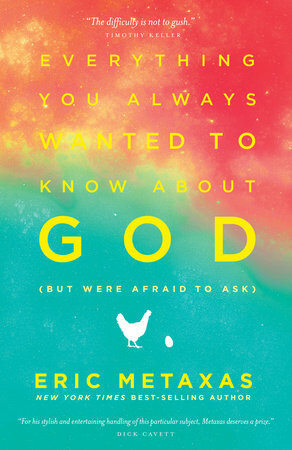 The book also answered questions in a way that made me look deeper at my faith and relationship with God. A quick read, Dinner with a Perfect Stranger was an hour of my life that changed my perception on faith. I would highly recommend this book to anyone who has a question or is skeptical about religion. Great book! I would recommend this and would say it's a "re-readable" book. You know the books you would definitely read again. Kristen does a great job of weaving the back stories and too-present realities of each character.